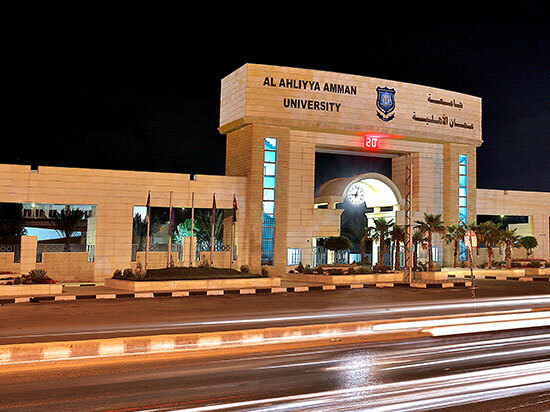 In a leading step that turned dreams into reality, Al-Ahliyya Amman University was established in 1990 to be the first university of its kind in Jordan and the Arab world. More than twenty-two years since its inception, AAU now takes pride in graduating its seventeenth class of students who have been qualified, trained, and prepared to competently and confidently compete in the domestic, Arab, and regional labor market. Al-Ahliyya Amman University is now considered a remarkable educational institution that has acquired trust, respect, and appreciation at the local, Arab, and international levels, thanks to the highly distinguished level of its graduates who spread across over than seventy countries. AAU graduates have become leaders, scientists, and experts in the broad walks of life. This achievement would not have been possible without the efforts of the dedicated faculty members and administrators who undertook the responsibility assigned to them and gained the trust of the founder of the University as well as the Chairman and member of its board of trustees. I ask Allah to bless their efforts. Al-Ahliyya Amman University has always demonstrated itself as a leading university in introducing and taking initiatives. 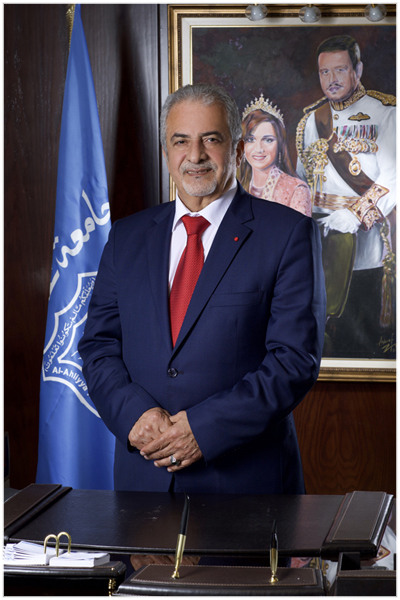 The University has complied with the Royal directions to reconsider the study plans and programs of universities, and connect the offered programs with the labor market requirements in order to raise the level of graduates, and increase their competition opportunities. In line with these directions, the University has added a range of new programs in the following majors: Networks and Information Security, E-Commerce, Electrical Engineering in its new form, Television, Cinema, and Theatrical Design, in addition to twenty-five existing BA programs in eight academic faculties. The University also paid special attention to graduate programs. It grants Master's Degrees in Law, Clinical Psychology, Pharmaceutical Sciences, Business Administration, Joint Business Administration with Herriot-Watt University, Communications Engineering and English Language. In order to maintain tradition and excellence, the University is keen to attract distinguished faculty members and administrators to emphasis sustainable excellence, creativity, innovation and modernity. The University is also keen to second a group of distinguished staff to obtain high degrees in rare specialties from the most prestigious universities in the world. In order to keep up with academic and scientific changes and prepare the University to improve the quality of its students, employees, and educational outputs, the University introduced an office and council for quality and quality assurance. The activities of the Office and the Council reflected positively on improving the scientific and administrative performance of the University, and promoting the educational outputs of the academic programs at the University. Based on the University belief in the importance of developing teaching and learning methods, the University is activating Dr. Ahmed Al-Horani e-Learning Centre, which is the only center of its kind in Jordan. In addition, and in an equally leading initiative, the University is in the process of introducing e-learning courses. Cooperation, integration and interaction with the local community institutions fall within the first priorities for the University. The University has a civilized and distinct record of development, social and humanitarian events and activities, which were adopted by the components of the University; its students, faculty members and administrators. These activities and events as a whole aim to provide service to our good people in this area of our dear homeland and have became a source of pride for everyone. Because it serves as a platform for Jordanian, Arab and foreign students from more than forty different nationalities, the University has dedicated special attention to its foreign students. An office was set up to attend to foreign students’ affairs, help them overcome accommodation and living difficulties, and make them feel the safe and warm hospitality of Jordan which is always embodied by Majesty King Abdullah II Bin Al Hussein. The University has thus become a safe environment for students and staff. We ask Allah to protect us all and grant us success under the Hashemite leadership. May the Peace, Mercy and Blessing of Allah be Upon You.